The Gaming Archaeologist returns after some reflection on his first convention experience. Gaming Archaeologist here with some polite musings on the world of anime from a Latino perspective. As a Mexican growing up in the United States, anime wasn't really the first thing that was in my mind growing up. I used to prefer Spanish language translations of American cartoons, like Batman, Alvin and the Chipmunks, and Bugs Bunny. The only anime I was a little familiar with was Sailor Moon, and growing up in a machismo culture, it would have been dishonorable for me to even be vaguely interested in a cartoon that is clearly meant for girls. However, one thing led to another, and before I know it I was watching Dragon Ball Z, Ranma 1/2, and Detective Conan. I became hooked to anime and it's a habit that I haven't yet completely overcome. So going to an Anime Convention for the first time this year was a day that left a positive impression in me. The oceans of people cosplaying and taking pictures, the random stalls selling things ranging from action figures to on-the-spot hand-made portraits, the pleasure of running into people you know and meeting new people from all over the world; it all was memorable event. I'm definitely willing to go next year and give it a round-two, but this time, I plan to do some cosplaying of my own. The Anime Expo illustrated the fact that anime is a cosmopolitan phenomenon. I saw people from all over the world there. But just the fact that the convention happened in L.A., Latinos could not be missing. I had never given much thought before as to how it is that Latinos would become mesmerized by an art form that is fundamentally Japanese, but the question inevitably arose from writing about geek culture in a Latino themed website. Rumiko Takahashi, Manga artist for Ranma ½, Inuysha, and Urusei Yatsura, has asked a similar question, and was given a very convincing answer. The following is an excerpt from one of her interviews. Takahashi: Once, when I was drawing Maison Ikkoku, I received a question about it from an American journalist. 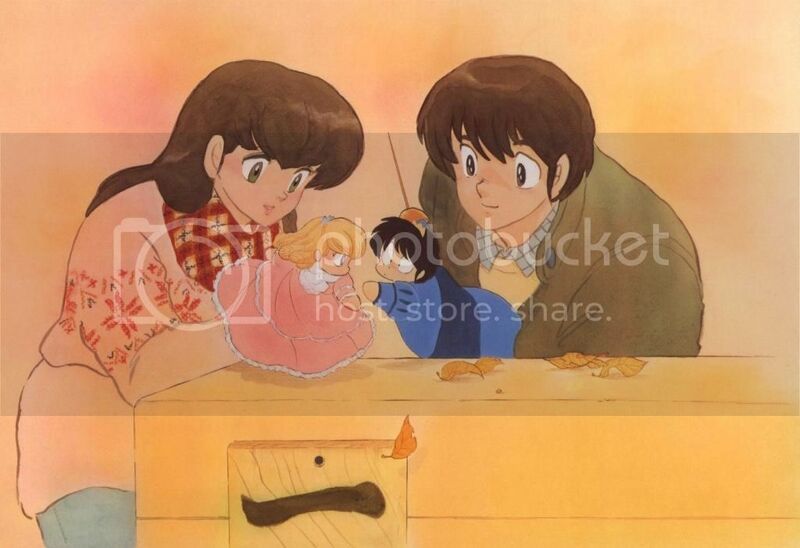 As you know, I created Maison Ikkoku to be a love story that could take place in the everyday world. I'm always curious about what attracts non-Japanese readers to my work so I asked the reporter's opinion. The reply I got was that Americans could empathize with the emotions being depicted in the comics. For example, the feeling when you fall in love, and you want to express it, but you can't... the reporter said that emotions are all the same, no matter which country you're from. I thought about this for a little while and said to myself, "Come to think of it, that's true." The theme of love and the angst that arises when it is unrequited are fundamentally human themes, which no culture or race has a monopoly over. But when considering the Latino community in particular, love stories have a special place in pop culture. A friend of mine from Los Angeles County, Natalie, has said that Anime and Novelas (Spanish language Soap Operas) have many parallels. I think she’s right, especially when considering works like Maison Ikkoku. But one issue that does arise with the Latino Community when it comes to Anime is the accessibility of Spanish Language translations. 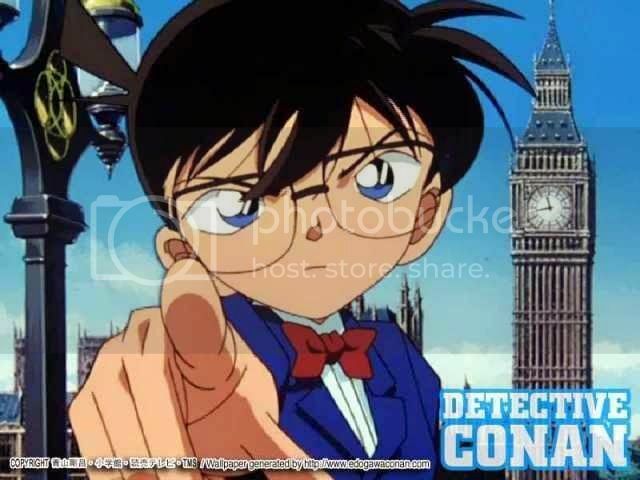 Some works are not released in Spanish, and other are released in Spanish but of the accent in Spain, which is not too appealing to Latin Americans in general (imagine if your favorite anime was dubbed with British accents). The classics, like Dragon Ball Z and Sailor Moon, definitely have Latino Spanish translations with noteworthy voice actors, but there is a need for more, a need that is becoming more and more vocalized in internet forums. The following is an example of Latin American voice actors making an appeal for people to petition for more Spanish language translations. Vidal, an old friend from El Salvador, has told me of an experience he had dealing with the issue. He went to buy some anime movies, and the person who sold it to him, of Asian descent, expressed the similarities between Japanese and Spanish. He also said that in Spanish translations, the jokes are translated more directly than they are in English, which results in the Spanish translations having funnier jokes. I asked Vidal what he thinks about Iberian Spanish translations vs. Latino Spanish translations, to which he responded "Latino Spanish lets you feel or understand things better because it's your own expressions. Spain has its own expressions, sometimes you don't even know what they mean. Makes me wonder what Spaniards think of our Latino Spanish version of the cartoons." The next issue is whether Latinos are portrayed accurately (or at all) in anime. A friend of mine from Mexico City, Mr. Cruz, has told me that Latinos are rarely portrayed in animes, and when they are, it is mostly in comedies. He believes that there is a lack of knowledge of the Latino culture in the Japanese anime industry, however, he got into anime specifically because it was so different from his own culture and found it extremely interesting. 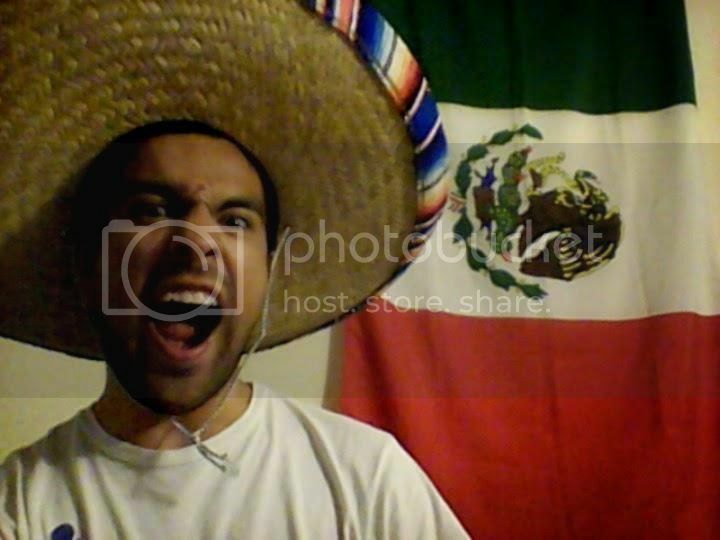 There are, of course, some characters of Latino descent in anime. The following video reflects on Mexican characters in Japanese animation. It's in Spanish so it's great for all you gabachos or pochos who need to brush up on Castilian. Clearly Latinos are blending into the mainstream of the anime community, but it is evident that the integration is not quite complete yet. Personally, I think that the Japanese Anime industry needs to realize that more and more of its consumers are Latinos (not only from the U.S. but from all of Latin America as well) and that they should be taken VERY seriously. 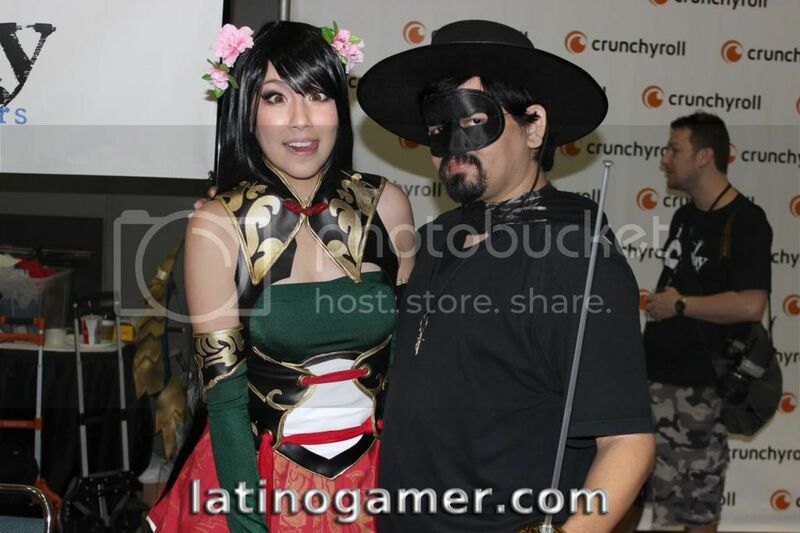 What are your reflections on the Latino Community and the Anime Otaku subculture? Feel free to comment and ignite a back and forth discussion.